In the penultimate instalment of our TomTom Discover Britain series, we head to the north and north east of England, an area of the country that I, personally, have never visited before. Our usual weekend rides follow the coast, picking up from where we last left off, but for this issue we’ve done something a bit different. Rather than start in Staithes, where our east coast ride came to an end, we decided to skip the built-up conurbations of Middlesbrough, Sunderland and Newcastle, instead opting to begin in Wetheral, on the outskirts of Carlisle. 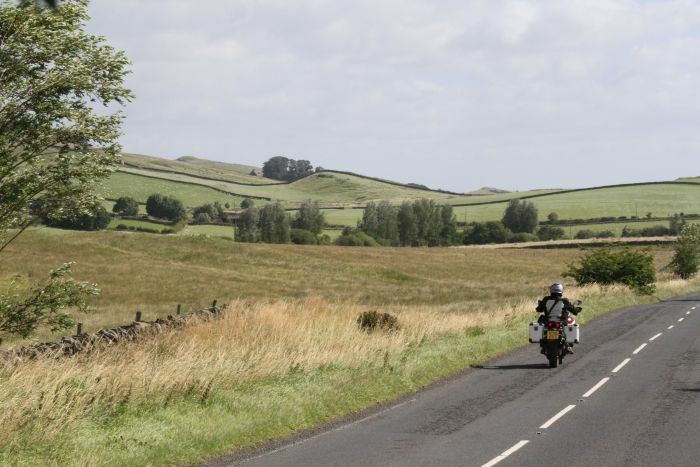 With this in mind, this issue’s route is more of a two-day circuit, beginning in Cumbria and, travelling west to east, following Hadrian’s Wall to Alnwick on the north east coast of England, and then back again through the Otterburn Ranges and Kielder Forest. This roughly 80-mile long stage of the journey will take you through an incredible part of the country, where the roads bisect green rolling hills and pass through pretty little villages. From Alnwick we head to the coast, and ride with the North Sea over our right hand shoulder up the Northumberland Coast Area of Outstanding Natural Beauty. Here, the roads have the potential to become a bit busier, but even during the summer holidays (when we rode the route) there wasn’t too much traffic. As you ride through Shoreston Hall, Bamburgh Castle appears on the horizon, sitting atop its rocky outcrop, with commanding views of the land around it. 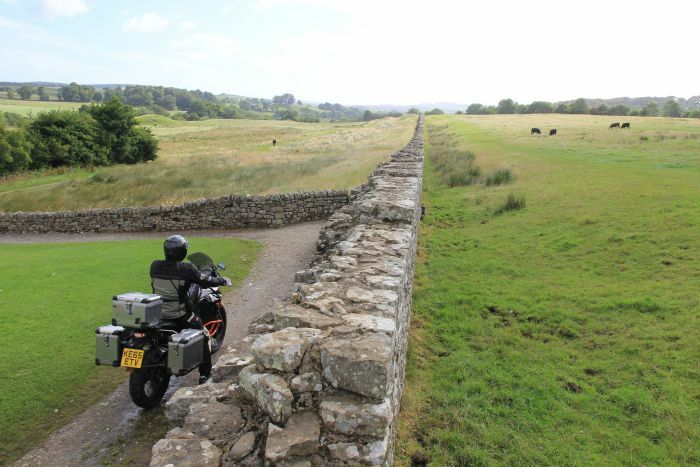 Riding underneath the imposing walls of the castle, it’s worth taking a few moments to admire the building before continuing on to the remarkable island of Lindisfarne. The island is accessed via a tidal causeway, which gets completely submerged by the sea at high tide, so before you make the trip here make sure you’re coinciding your visit with low tide. It’s just a few miles from Lindisfarne and we call it a day in the sleepy town of Wooler. The next morning, following a hearty full English, of course, there are two options for you. Either spend some time exploring the local green lanes, or head straight over to the Otterburn Ranges. 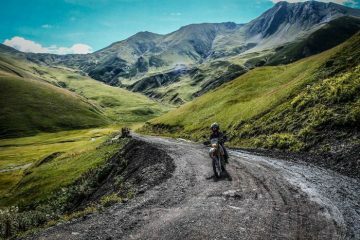 Here the riding is sublime, not because the roads are good, but because the atmosphere of the Ranges coupled with the striking scenery make it such a memorable journey. 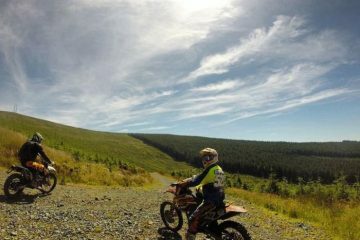 From Otterburn you’re deposited onto the Kielder Forest Drive, a 12 and a half mile gravel track that takes you through the wilds of Kielder Forest. This route is easily doable on all bikes, but take it easy if you’re new to riding on gravel (it’s hard compact in most areas so you should be fine). After the forest drive it’s just an hour to the finish point back in Wetheral, and our route will take you over the border and into Scotland. 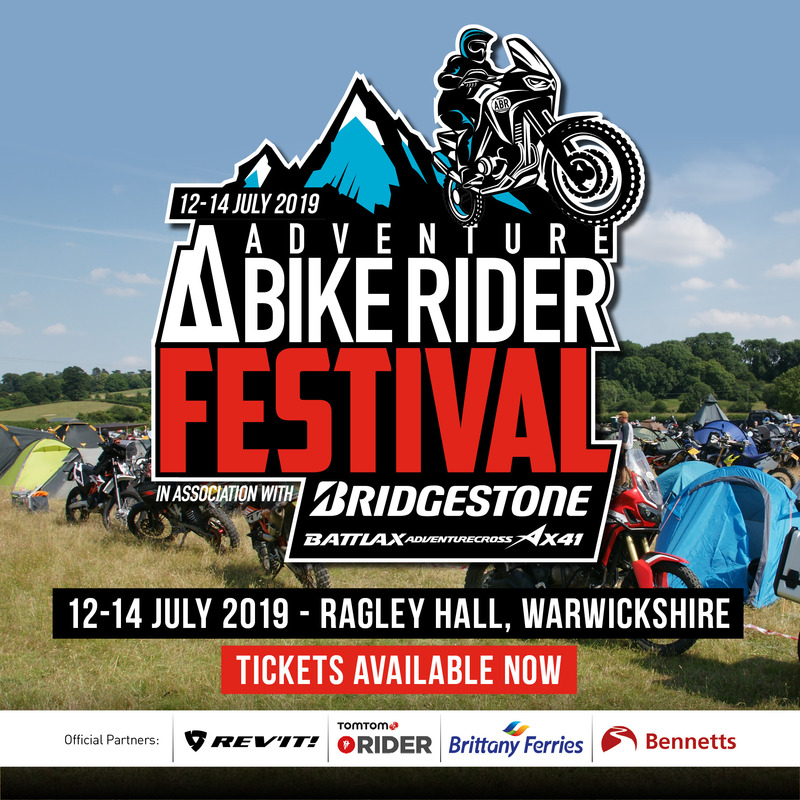 This hour-long part of the ride is excellent, with a combination of fast, open roads and smaller country roads allowing you to test your talents. The roads here are also eerily quiet, and you’ll have them almost to yourself. Depending on whether you decide to start the ride in the north west or the north east there are two places that we recommend staying at. Sitting just on the outskirts of Carlisle, this village provides the perfect staging ground for your first day heading east along Hadrian’s Wall. 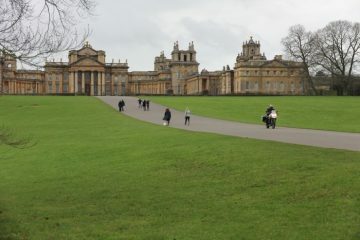 We stayed in the Crown Hotel, a wonderful four star hotel with an AA Rosette restaurant and cosy pub attached to it. Prices start from about £85 per room. 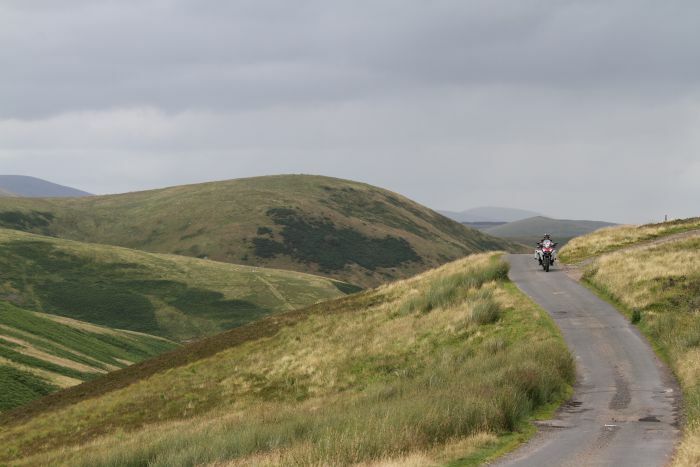 Wooler is a small village in the north east of Northumberland, sitting perfectly placed for your overnight stop on the ride, or as a starting point for an east-to-west route. The Black Bull Inn is reasonably priced, located in the heart of the village, run by friendly staff and serves proper, hearty food of good portions! Most people reading this will have heard of Hadrian’s Wall, the 73-mile long defensive wall that was built in 122AD, but to see it in the flesh is worth this trip alone. It’s amazing how much of the wall is still intact (albeit slightly tattered) even after the rocks and stones that made up its three-metre width and five-metre height have been pillaged to make farmer’s walls and local military roads. 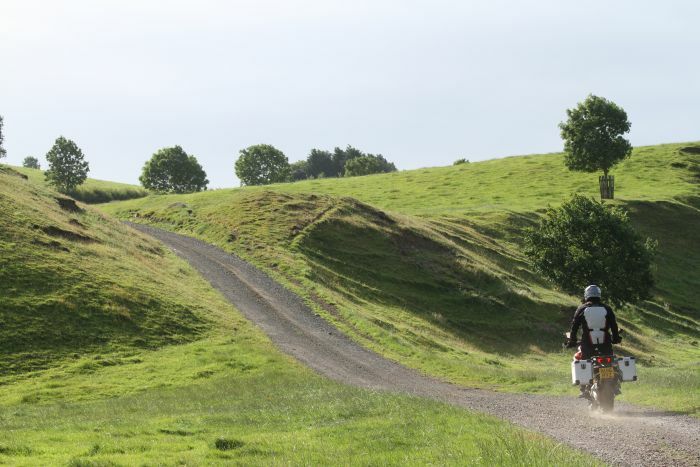 Our route runs almost parallel to the relic of Roman history and in places you are riding within feet of it. To think it’s nearly 2,000 years old is astonishing. On the north east coast of Northumberland you’ll find the remarkable Lindisfarne (or The Holy Island of Lindisfarne to give it its proper name), a small tidal island with a recorded history dating back as far as 635AD, and that was once the centre of Celtic Christianity in Britain. Despite visitor numbers of over 650,000 people per year, there are only just over 160 residents on the island. 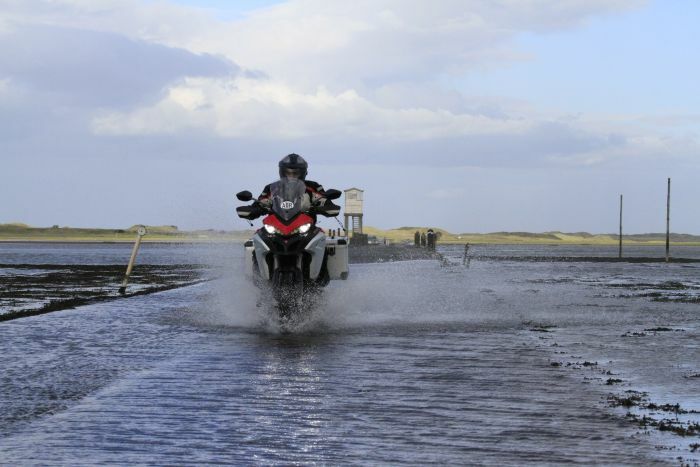 Lindisfarne is accessed via a paved causeway which is engulfed by the North Sea twice in every 24 hour period. According to signage around the island, an average of one car per month is abandoned on the causeway when a crossing is attempted too late. 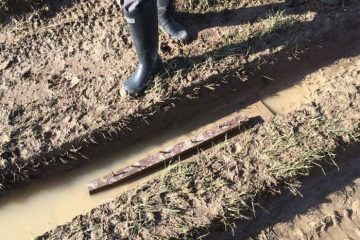 Don’t get caught out, so check the tide tables on the Lindisfarne website. While we like to present these weekend routes so that they’re accessible for everyone on any bike (i.e. entirely tarmacked), there are a ton of fantastic green lanes to be explored around Northumberland. Grab yourself an OS map (OL16 covers the best lanes to the south west of Wooler) and become acquainted with where they are. We rode the Cup and Ring green lane, which can be started in Dorridge, another with a lovely ford crossing just to the east of South Middleton, and then a fantastic trail that takes you up and over a low mountain pass, beginning in the village of Ingram. 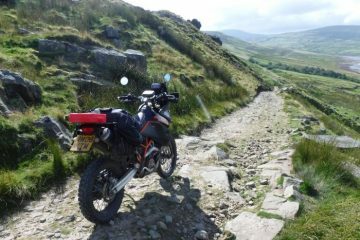 All of the lanes mentioned can easily be ridden on big adventure bikes on road tyres, but only in the dry. They have a lot of grass on them and will become very slippery when wet! Out of all of the places I have visited while completing this circumnavigation of England and Wales, nowhere has been able to inspire awe as much as the Otterburn Ranges. 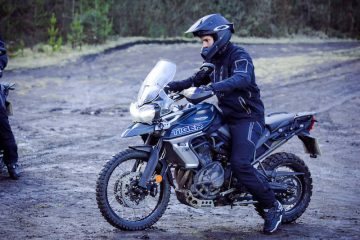 Home to the UK’s largest military training area, riding through this wild and desolate land is like being transported to a different planet. There’s a true sense of isolation out here, and while the roads may not be fast, they offer some of the most captivating riding in the UK. Access to the range is restricted during certain times, usually denoted by a red flag flying at the entrance. On speaking with locals, including the postman, we discovered that they still drive through the range when the red flags are displayed, and it’s only when the gate’s closed that they don’t proceed. Of course, it’s down to you to make up your own mind, but you can check out this website to see when access is restricted, though the place is so spectacular I would suggest planning your route around the times when you can visit the ranges. This 12 and a half mile-long gravel track is about as close as you can get to riding the Canadian Taiga in England (legally). It stretches from Kielder Castle in the west to Blakehopeburnhaugh, directly off the A68 in the east, taking you through the heart of Kielder Forest, and the sense of remoteness and the surrounding natural beauty is almost overwhelming. 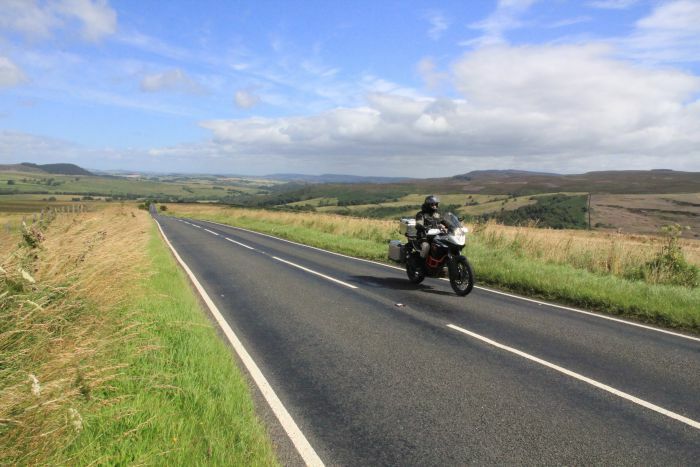 The track is doable on any bike and is one of England’s highest roads (the highest can be found in the Pennines), reaching over 450m in altitude. The scenery along the way is incredible, while the excitement of driving on a 12-mile long gravel trail should satisfy most adventure bikers’ thirst for off-road adventure. 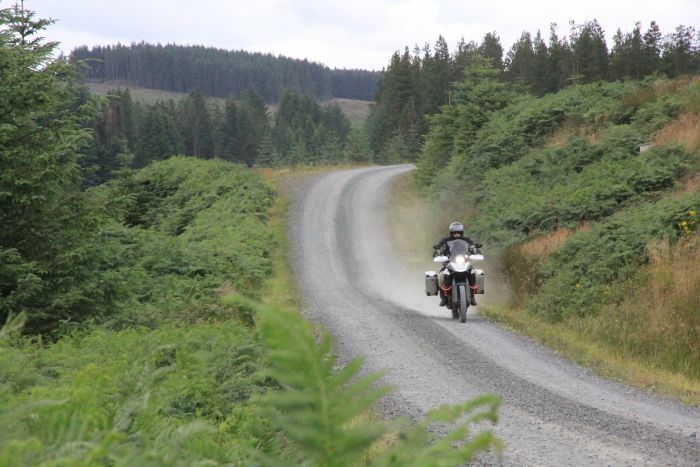 Kielder Forest Drive is a toll road, costing £3 to ride, and this is payable at the western end of the road. While it’s hard to pick out any single stretch of road from this route that should be ridden above all others, the section from Otterburn to Alnwick via Rothbury, along the B6341 stands out as being one of the most enjoyable, picturesque rides of the weekend. The tarmac rises and falls with the lay of the land, and when cruising at top altitude the views are simply stunning. As you approach Alnwick you’ll catch your first glimpse of the North Sea in the distance. Stick these waypoints into your SatNav to be taken as near as dammit to the TomTom North England weekend route… The route below is also available to download so you can stick it straight on your SatNav. You can download the route here.